Tina has represented commerical and individual clients in a broad range of real estate and contract matters for more than 14 years. Her practice includes drafting and reviewing contracts, negotiating and drafting leases for office, retail and residential properties, preparing subdivision, easement, community association and other development documents; advising clients in landlord and tenant and fair housing matters; resolving boundary line and property rights issues; and assisting with land use matters. Having also litigated real estate issues for many years, Tina understands the problems that can give rise to conflicts in the future, and she helps her clients minimze that risk. Tina's representative clients have included commerial and residential property owners, property management companies, developers, real estate brokers and community associations. 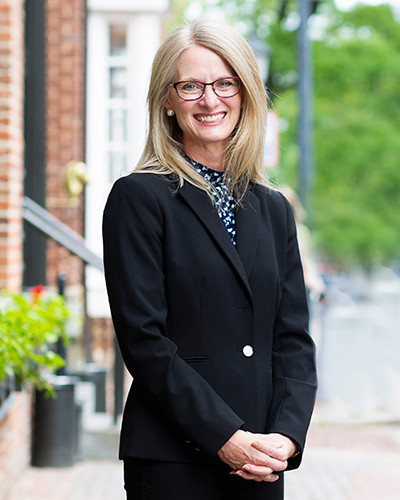 She also served on the legislative committee of the Northern Virginia Property Owners Association, participating in the drafting and revision of state leglisation affecting the real estate industry.